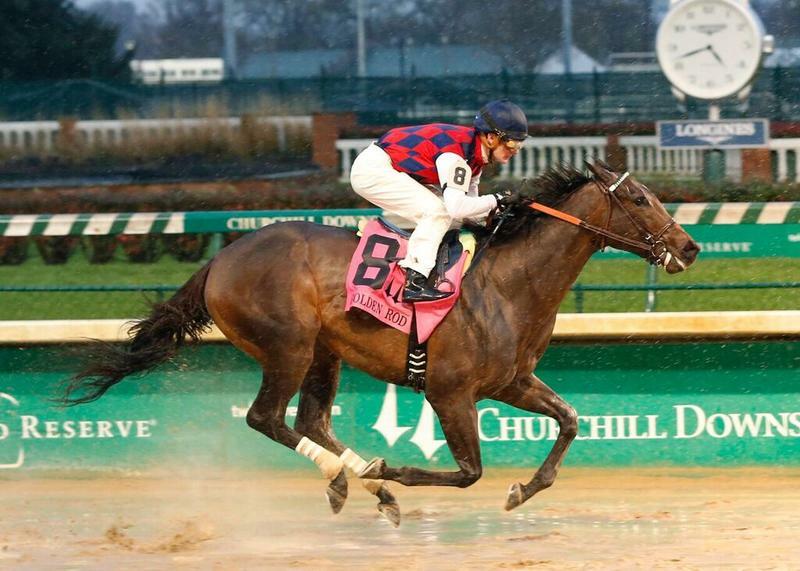 Fox Hill Farms’ unbeaten 2-year-old filly champion Songbird (#18) is the solid favorite in a strong group of 3-year-old fillies listed as individual betting interests in the 2016 pool of Churchill Downs Racetrack’s Kentucky Oaks Future Wager (“KOFW”), which opens a three-day run at noon (all times Eastern) Friday, March 11 and concludes on Sunday, March 13. 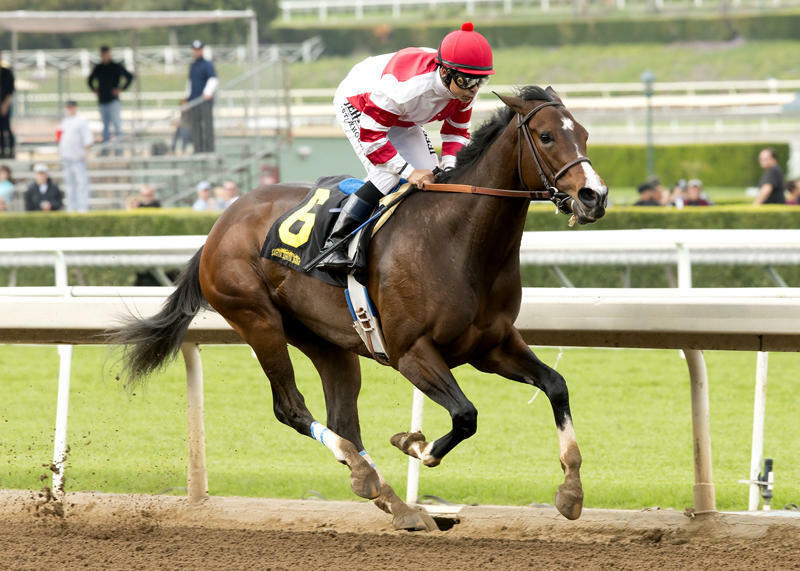 Songbird, who has collected easy 2016 wins in the Santa Anita’s Las Virgenes (GII) and Santa Ysabel (GIII) to extend her perfect racing record to six victories, is the 3-1 favorite in Churchill Downs handicapper Mike Battaglia’s morning line odds for the Kentucky Oaks Future Wager. 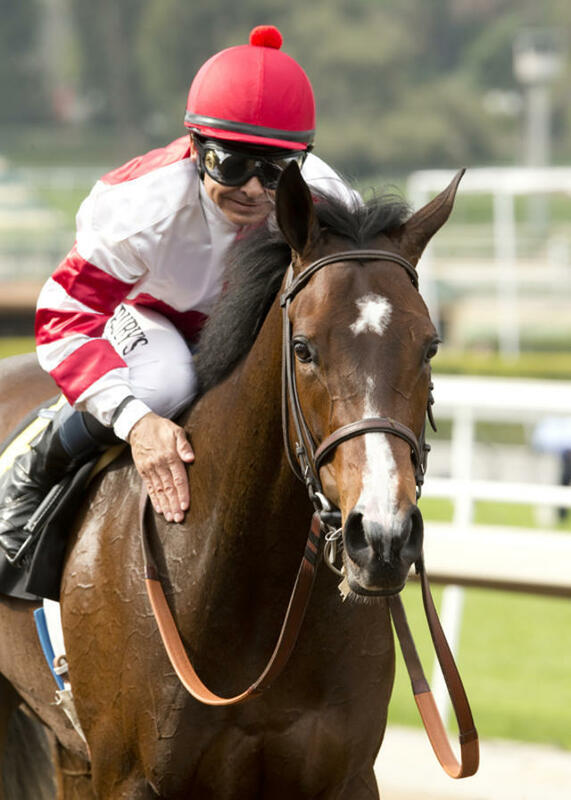 The daughter of Medaglia d’Oro, winner of the 2015 14 Hands Winery Breeders’ Cup Juvenile Fillies (GI), is bidding to provide Fox Hill Farms owner Rick Porter with his first Kentucky Oaks victory, while Hall of Fame trainer Jerry Hollendorfer is seeking a fourth win in the race and Hall of Fame jockey Mike Smith is searching for his second Oaks triumph. 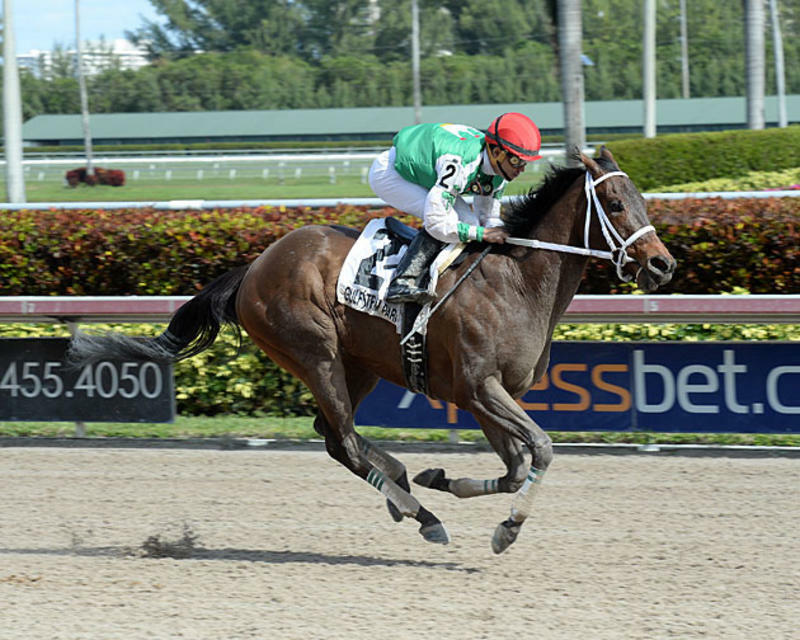 Other major players in the lone Kentucky Oaks Future Wager pool of 2016 include Cash Is King LLC’s unbeaten Cathryn Sophia (#3, 6-1), winner of Gulfstream Park’s Grade II Davona Dale and Forward Gal; Three Chimneys Farm LLC’s Carina Mia (#2, 8-1), the Bill Mott-trained winner of Churchill Downs’ Golden Rod (GII); and the Mutuel Field (#24, 8-1), which includes all 3-year-old fillies other than the 23 individual wagering interests in the year’s only Kentucky Oaks Future Pool. The Kentucky Oaks Future Wager allows fans to wager weeks in advance on contenders for the $1 million Longines Kentucky Oaks (GI),America’s top race for 3-year-old fillies, at odds that could be more attractive than those available on Friday, May 6, Kentucky Oaks Day at Churchill Downs. The Oaks bet runs parallel to Pool 3 of the Kentucky Derby Future Wager and both wagers are set to open at noon on Friday, March 11 at Churchill Downs; Twinspires.com, the official online wagering platform of the Kentucky Derby and Oaks, and other online wagering outlets; and satellite betting centers throughout North America. Kentucky Oaks Future betting opens each day at noon, and the pool’s wagering will conclude at 6:30 p.m. on Sunday, March 13 – 30 minutes after the conclusion of betting in concurrent Derby Futures pool. Winning KOFW payouts, made after the results after results are official on May 6, will be determined by the odds in place at Sunday’s conclusion of betting. Like its Derby counterpart, the Oaks Future bet features $2 minimum win bets and $2 exacta wagers, which are also available in $1 minimum increments in boxes and other multiple number configurations. No scratches or betting refunds are permitted in the Kentucky Oaks Future Wager. Betting on an individual filly during the pool will be suspended immediately should Churchill Downs determine that injury, illness or some other circumstance would prevent that filly from competing in the race. 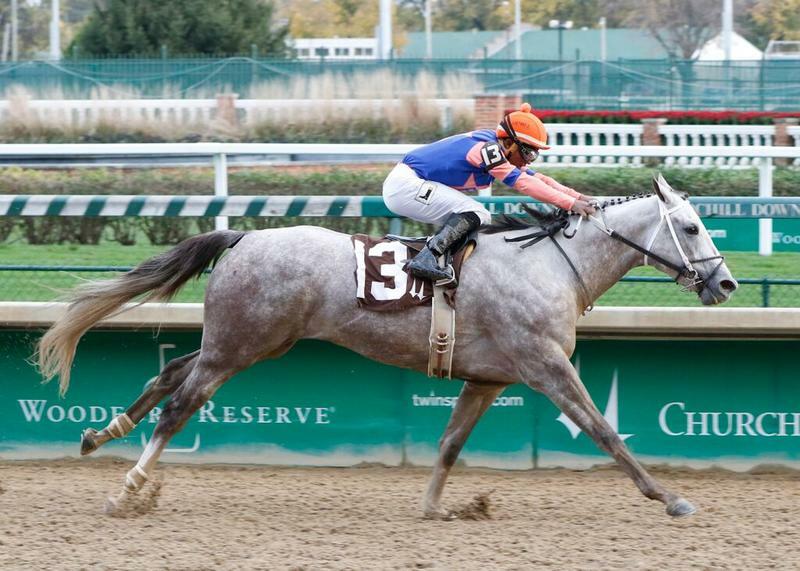 “All Others’ was the 5-2 favorite at the close of betting in the 2015 Kentucky Oaks Future Wager pool, while I’m A Chatterbox, the eventual third-place finisher in the Oaks, was the favored individual at 6-1. Brereton C. Jones’ eventual Oaks winner Lovely Maria closed as a 39-1 risk in the pool. A $2 KOFW wager on Lovely Maria returned $81.60, while a $2 win wagered placed on the Larry Jones-trained filly in the race itself returned $14.60. Wagering during three days of 2015 Kentucky Oaks Future betting totaled $115,615, an increase of 42.3% from 2014’s Oaks Futures total of $81,234. The 2015 total included $2 win wagering of $79,445 and $26,663 in exacta betting. Other wagering interests that are expected to attract solid support in the Kentucky Oaks Future Wager include Reddam Racing LLC’s Gomo (#7, 15-1), the Doug O’Neill-trained winner of Keeneland’s Darley Alcibiades (GI); Stonestreet Stable LLC’s Rachel’s Valentina (#17, 15-1), a daughter of 2009 Kentucky Oaks winner and Horse of the Year Rachel Alexandra who won Saratoga’s Spinaway (GI) and was runner-up in the Breeders’ Cup Juvenile Fillies (GI) for trainer Todd Pletcher; and Polar River (#16, 20-1),whose win in last week’s UAE Oaks improved her record to four wins in as many starts at Dubai’s Meydan Racecourse. Two-time Kentucky Oaks winner Steve Asmussen (Untapable, 2014 and Summerly, 2005) led all trainers with five fillies on the roster of KOFW’s 23 individual wagering interests. Three-time winner Pletcher (Princess of Sylmar, 2013; Rags to Riches, 2007 and Ashado, 2004) trains three fillies on the 2016 KOFW betting roster. Information on the Longines Kentucky Oaks and real-time odds and past performances on the Kentucky Oaks Future Wager are available at the event’s web site at www.KentuckyOaks.com. CLICK HERE for a look at the wagering interests and morning lines for the 2016 Kentucky Derby Future Wager.